Stress is a hidden epidemic – the World Health Organization estimates that mental diseases, including stress-related disorders will be the second leading cause of disabilities by the year 2020 . The economic impact of stress is huge, with an estimated loss of about $42 billion for absence and treatment of stress-related illness in the U.S. . Acute psychosocial stress induces strong biological responses, and through the secretion of stress hormones and widely spread autonomic innervation, these responses have the potential to reach nearly every cell in the organism . Defective stress response patterns might be linked with the biological and physiological markers of aging like DNA damage, over-expression of inflammatory genes, and declines in cognitive functioning . There is evidence from previous studies that different patterns exist, and some have shown to be associated with inflammatory diseases [3,4]. For further research, it is important to classify these patterns in order to identify such defective responses automatically. Some of the stress response patterns have already been analyzed based on psychological features [5,6]. However, this approach mostly allows to only test for certain hypotheses that were determined in advance selected and are mostly univariate. In contrast, applying machine learning techniques to this problem is a promising approach for testing more general hypotheses and presumably allows to reveal more complex correlations. 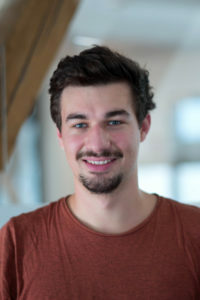 Although lots of previous work that have applied machine learning to psychological problems exist, only few have used it for detecting stress response patterns from biological markers, e.g. .
Based on data acquired in a previous study , the first goal of this bachelor’s thesis is therefore to classify different acute stress-induced response patterns. These patterns are based on saliva (amylase and cortisol) and blood (Interleucin-6) markers. A further goal is to analyze whether correlations among patterns of different markers exist. The final step is to evaluate whether it is possible to predict these patterns from survey-assessed psychological, demographic and health variables, which were also acquired during the study. Kalia, Madhu. “Assessing the economic impact of stress – The modern day hidden epidemic.” Metabolism-Clinical and Experimental 51.6 (2002): 49-53. Sapolsky, Robert M., L. Michael Romero, and Allan U. Munck. “How do glucocorticoids influence stress responses? Integrating permissive, suppressive, stimulatory, and preparative actions.” Endocrine reviews 21.1 (2000): 55-89. Schommer, Nicole C., Dirk H. Hellhammer, and Clemens Kirschbaum. “Dissociation between reactivity of the hypothalamus-pituitary-adrenal axis and the sympathetic-adrenal-medullary system to repeated psychosocial stress.” Psychosomatic medicine 65.3 (2003): 450-460. Kuras, Yuliya I., et al. “Increased alpha‐amylase response to an acute psychosocial stress challenge in healthy adults with childhood adversity.” Developmental psychobiology 59.1 (2017): 91-98. Breines, Juliana G., et al. “Self-compassion as a predictor of interleukin-6 response to acute psychosocial stress.” Brain, behavior, and immunity 37 (2014): 109-114. Galatzer-Levy, Isaac R., et al. “Quantitative forecasting of PTSD from early trauma responses: A machine learning application.” Journal of psychiatric research 59 (2014): 68-76.